Homer, is the greatest epic poet of all times. 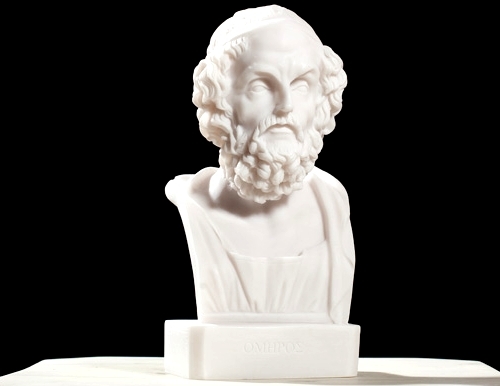 He is the poet of the ancient Greek epics, Iliad and Odyssey.Homer is a historical person which lived in the second half of the eighth century B.C..In ancient times many Ionian cities claimed Homer's origin with Smyrne and the island of Chios having the greatest chances. After the fourth century B.C. many biographies of Homer were written, from which seven survived to our days. In these biographies the lack of assured information was balanced by the use of fantastic evidence. Ancient biographers report that Homer was blind. The original bust (150 BC) is exhibited in the Louvre Museum in Paris, France.